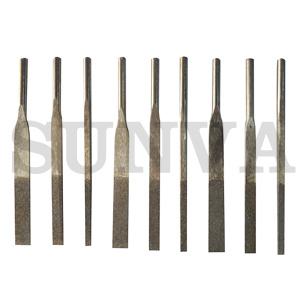 SUNVA Diamond Machine Taper Files are suitable for glass, tile, ceramic, stone, marble, metal and many others. Unit:mm Cross-section L T Grit Order No. 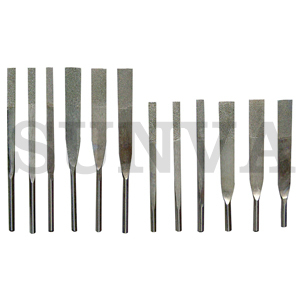 Unit:mm Cross-section T Grit Order No.